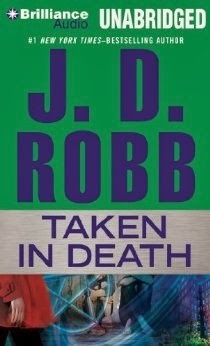 Lately, the In Death short stories have been published in anthologies following particular themes. This time it's fairy tales (as you might guess from the title). I'm quite intrigued by the idea of mystery/crime + fairy tales (in fact, I just bought a book that qualifies: Brother Grimm, by Craig Russell. Mixed reviews, but it's a Hamburg-set, fairy tale-themed police thriller. How could I resist?). However, I know I don't like the authors JD Robb is always packaged with, so I resisted the temptation in this case and read just the Robb story. Robb picks an unexpected fairy tale to base her story on: Hansel and Gretel. Eve Dallas is called to the scene of a murder and kidnapping. A woman working as a nanny is dead, her two charges (twins) missing. The security video hasn't been tampered with and it's clear: it's the mother who took them. But when the mother and father come back from travelling, she has a reliable alibi. She also has an evil twin, one who's suposed to be locked up in a mental health ward in Sweden, but isn't. I liked this one a lot. It's not really a whodunnit; rather, it's focused on the hunt for a known culprit, and it's really well done. Given the short space available, concentrating on one particular element works best. And it's really clever, with some really cool moments and even some truly frightening and tense ones. If you can't deal with 'children in peril' plots, then this one's probably not for you. I particularly liked that there was a genuine fairy-tale feel to the story, even though it still fit perfectly in the usual In Death universe. I've criticised previous short stories in this series for going too far out in the paranormal element, but this was not like that at all. My only issue with this one was: did Robb really need to make the Hansel and Gretel connection explicit? We’re not stupid!